On October 1, 2013, the first law banning texting while driving comes into effect in the State of Florida. This law is a half step in the right direction, but a half step nevertheless. Florida’s ban on texting while driving – A toothless law in need of more bite! Tagged: "Florida ban", "Florida texting law", "texting and driving" and "texting while driving"
On April 8, 2013, the Florida Judiciary Committee approved by unanimous vote a bill (SB 52) that would ban texting while driving statewide for the first time in Florida. The bill cleared The Senate Transportation Committee last February, cleared the Senate Communications, Energy, and Public Utilities Committee in March and this week cleared the Senate Judiciary Committee. The bill can now be taken to Florida’s Senators for a final vote. If the bill passes the Senate and the House, this will mark the first time that a ban on texting while driving becomes in effect (on October 1, 2013) after several years of futile attempts to ban texting behind the wheel. While any ban on texting and driving is a step in the right direction, the proposed law is so meaningless in its reach that it will sadly create absolutely no incentive or deterring effects to dissuade drivers to stop texting while driving throughout the State. Tagged: "Distracted Driver", "distracted driving laws", "Florida ban", "Ira Leesfield", "Leesfield & Partners", "Senator Nancy Detert", "texting and driving" and "texting while driving"
After years of false stops and starts, a bill to curb texting while driving is finally building momentum in the Florida House. The current bill would impose a $30 fine for anyone texting while driving, and a $60 fine for doing so again within the same five-year period. Texting would still be allowed when stopped or at a red light. Tagged: "Distracted Driver", "distracted driving laws", "Ira Leesfield", "Leesfield & Partners", "texting and driving" and "texting while driving"
Last month, 25-year-old Alicia Westgate killed Richard Webb, an avid 68-year-old bicyclist. New York prosecutors charged Westgate with reckless operation, use of a portable device for texting and failure to use due care. The defendant will answer those charges in Newfane Town Court on August 14. 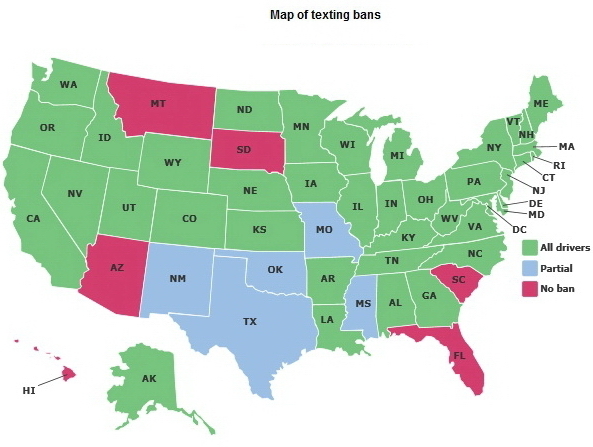 The state of New York is one of the 38 states that currently have a ban on texting while driving. Last month, we reported on a landmark case in the Massachusetts, where a young man was convicted for 2.5 years in jail for texting while driving and killing a husband and father. Westgate is facing a similar road in her upcoming criminal trial (unless she pleads guilty) if the evidence reveals that she was indeed texting at the time the incident took place. Tagged: "Alicia Westgate", "Richard Webb", "texting and driving" and "texting while driving"
Last week we reported on the ongoing criminal trial of Aaron Deveau in Massachusetts. Today, the 18-year-old was found guilty of vehicular homicide, and causing a fatal traffic accident while texting on his cell phone. This landmark case is the first time in the state of Massachusetts that such charges have resulted in a conviction. Found guilty, Deveau was sentenced to 2 1/2 years behind bars, and will serve one additional year in jail. On the day of the accident, the teenager had sent and received 193 text messages. Deveau faced a maximum sentence of four years. He was also sentenced to 40 hours of community service, as well as having to surrender his driver’s license for 15 years. After the accident, Deveau deleted several text messages from his phone, but investigators were able to ascertain that the teenager was driving and texting at the same time through their forensic research team. This tragic incident caused the death of 55-year-old Donald Bowley Jr., who left 3 children behind, and catastrophic injuries to the two other occupants in Bowley’s vehicle. 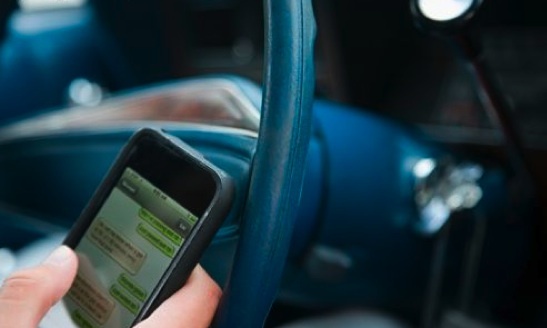 In convicting Deveau, the State of Massachusetts has made an example of this case for all the citizens of Massachusetts who continue to text while driving, even though it has been a violation of the laws of Massachusetts since the year 2010. Even though Deveau showed remorse and regret when he said in open court that he wished he could “take it all back”, before apologizing the to Bowley family, District Court Judge Stephen Abany realized that this case needed an exemplary sentencing. When sentencing Deveau, Judge Abany said that deterrence “really seems to come to play in this case,” and “[p]eople really want to be safe on the highways.” People need to “keep their eyes on the road, keep their eyes on the road,” he added. Tagged: "Aaron Deveau", "cell phone ban", "Distracted Driver", "distracted driving laws", "Donal Bowley", "texting and driving" and "texting while driving"
Aaron Deveau is currently on trial, facing criminal charges including motor vehicle homicide by negligent operation, negligent operation of a motor vehicle, being an operator under 18 using a mobile phone, being an operator reading or sending an electronic message, driving over marked lanes, and two counts of negligent operation and injury from mobile phone use. 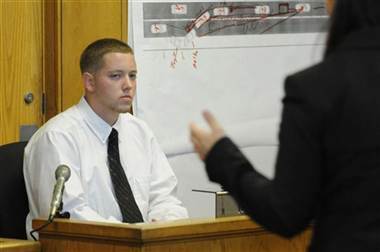 This Massachusetts criminal case could be the first landmark case in the controversial topic of texting while driving, after the 17 year-old-teenager, Deveau, collided head-on with a pickup truck on Feb. 20, 2011, and killing 55-year-old Donald Bowley. Had this accident occurred in Florida, Aaron Deveau would be freely walking down the streets of the Sunshine State with the comforting knowledge that he will never face criminal charges. The victim’s family on the other hand would only have a civil remedy against the negligent teenager. In 2010 the state of Massachusetts has passed a law banning the use of mobile phones while operating a motor vehicle. A contrario, Florida is one of only six states in the country which continuously refuses to ban the practice of texting and driving. In fact, this year marked the 7th year in a row that the Florida legislature could have voted on a total or partial ban of the use of handheld mobile phones while driving and adjourned without producing a single distracted driving law. 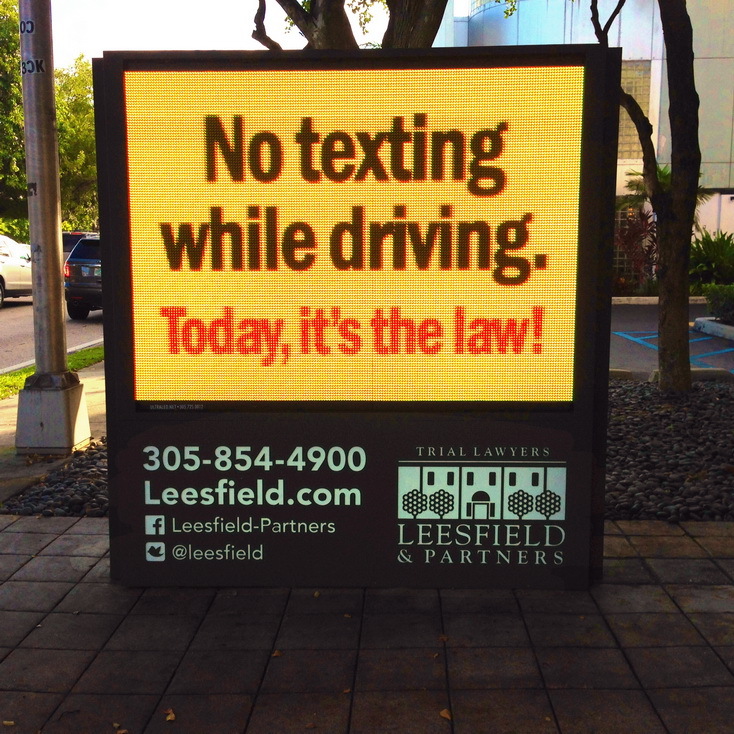 Ira H. Leesfield, as Senior Managing Partner of Leesfield Scolaro, has continuously been an advocate in favor of a total ban of the use of mobile phones when driving a motor vehicle. Recently, Ira Leesfield highlighted the main concerns and legal theories under which plaintiffs could attempt bringing civil cases against negligent drivers who caused injuries while using their cell phone: Driving + Cell Phones = Bad Call. In an article published in the Miami Herald, Texting and driving a costly business risk, Ira Leesfield warned the corporate world of the dangers of having employees driving and using their cell phones. In 2007, an article published in the American Bar Association’s The Brief, Tort Trial & Insurance Practice Section, in which Ira Leesfield analyzes and discusses remedies and tactics for handling motor vehicle collision cases arising from cell phone use and distractions. This article can be downloaded here. Tagged: "Aaron Deveau", "distracted driving laws", "Donal Bowley", "Ira Leesfield", "Leesfield & Partners", "texting and driving" and "texting while driving"